TOKYO, Oct 12, 2018 - (JCN Newswire) - Mitsubishi Corporation and The Kinki Sharyo Co., Ltd. have received an order from Qatar Railways Company for 35 additional trains sets (105 cars) for the Doha Metro Project. The consortium consisting of Mitsubishi Heavy Industries, Ltd., Mitsubishi Corporation, Hitachi, Ltd. and Thales Canada, Inc. received the order to supply the Railway System for the Doha Metro Project in February 2015. The current order of 35 train sets (105 cars) is additional to the 2015 order. 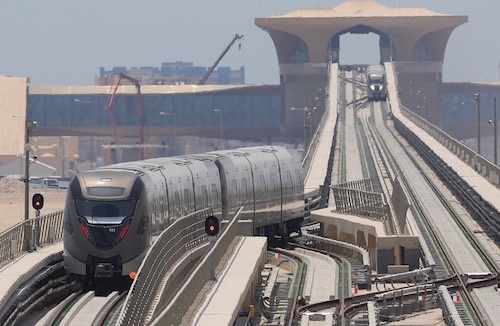 Qatar Railways Company is planning to add an extension in its construction of the Doha Metro Project, for which the additional trains are required. The 35 train sets will be delivered from 2020 to 2021. In "Qatar National Vision 2030", the country's development roadmap, public transportation is designated as an important target, with the Doha Metro Project as the key component of the master plan. The Doha Metro Project is also expected to be an important mode of public transportation during the FIFA World Cup to be hosted by Qatar in 2022. Collaboration between Mitsubishi Corporation and Kinki Sharyo dates back many years, during which time they have supplied some 1600 rail cars to clients in Egypt and approximately 400 rail cars to clients in Dubai. The two partners intend to keep up their efforts to export reliable high quality Japanese rail cars to railway markets worldwide.